The health and well-being of many nursing facility residents can decline rapidly if not provided adequate assistance for mobility. In many incidences, the resident can lose their range of motion, their ability to walk or perform activities of daily living simply because the facility lacks sufficiently trained staff to accommodate their health needs. In fact, the elder abuse attorneys at Rosenfeld Injury Lawyers LLC have represented many nursing home victims who have suffered a decline in their physical health due to overcrowded and understaffed conditions at their facility. 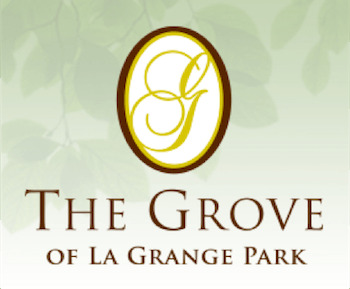 Services provided at Grove at La Grange Park include Alzheimer’s and dementia care, cardiac care, neurological rehabilitation, occupational therapy, orthopedic rehab, pain management, physical therapy, pulmonary care, speech therapy, and wound care management. On an annual basis, the federal government through its national portal Medicare.gov updates comparative information on nursing facilities all across the United States. Currently, The Grove of La Grange Park maintains an overall two out of five available stars compared to other facilities nationwide. This includes five out of five stars for quality measures, two out of five stars for health concerns and one out of five stars for staffing issues. In a summary statement of deficiencies dated 10/02/2015, a notation was made by a state investigator concerning the facility's failure to "comprehensively assess and implement interventions to maintain confidence and prevent urinary tract infections.” The deficient practice by the nursing staff at the Grove of La Grange Park affected one resident at the facility reviewed for bowel and bladder issues. If you, or your loved one, have developed a bedsore or suffered any other injury while residing at the Grove at Le Grange Park or any other Illinois nursing facility, Rosenfeld Injury Lawyers LLC can provide a free case evaluation to determine if you have legal rights to a financial claim for compensation. We urge you to make contact with our Chicago nursing home neglect law offices today by calling (888) 424-5757 to schedule an appointment. Our Cook County elder abuse law firm accept nursing home abuse cases, wrongful death lawsuits and personal injury claims for compensation on contingency, meaning all of our legal services are paid only after we successfully resolve your case at trial or through a negotiated out-of-court settlement.